Let us immerse ourselves in the wild unspoilt nature of Dragonera island and explore it at our leisure, dive into the blue Mediterranean ocean and admire sea views of incomparable beauty. We leave the cruise terminal behind us by coach to reach the south-west coast of the island, from where we go on a **short boat transfer** along the glistening Mediterranean Sea. 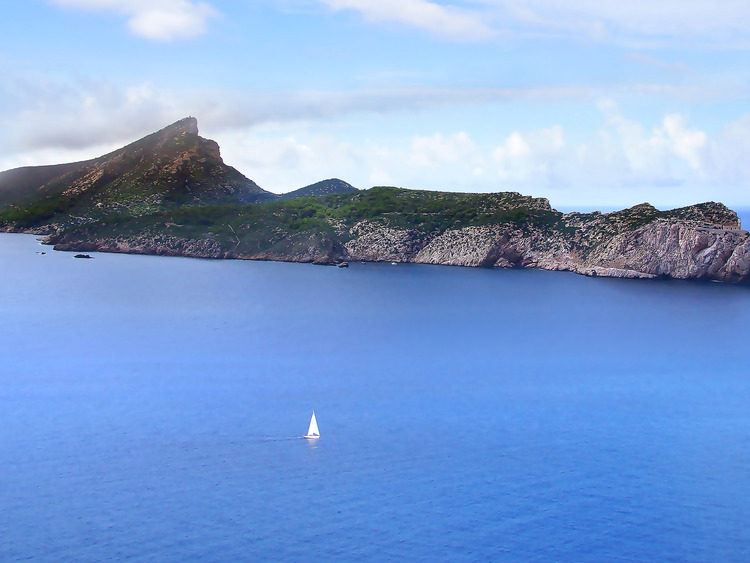 Our destination is **Dragonera island**, an uninhabited islet now a protected nature park that was once the stomping ground of pirates, privateers and adventurers at the origin of many intriguing legends. As our boat approaches the natural port, we can admire the Dragonera coast, almost entirely made up of cliffs plunging into the sea, as well as it **practically untouched territory** that encloses an ecosystem of great environmental value. Once on land, we have two hours available to **explore the island at our own leisure** strolling along its path, observing the local bird colonies and discovering traces left by man such as the Roman necropolis or the watchtowers built by the Spanish in the 18th century. We get back on our boat and take full advantage of a **refreshing dip** into the cool blue waters . We then head back to the ship with the wind sweeping through our hair and taking in one last glimpse of the Dragonera outline. This excursion requires a certain level of physical fitness as guests must be able to get on and off the boat on their own and walk on uneven ground. The on-board staff speaks Spanish and English. In the event of inclement weather the tour may be cancelled at short notice. Do not forget to bring swimwear and a towel.